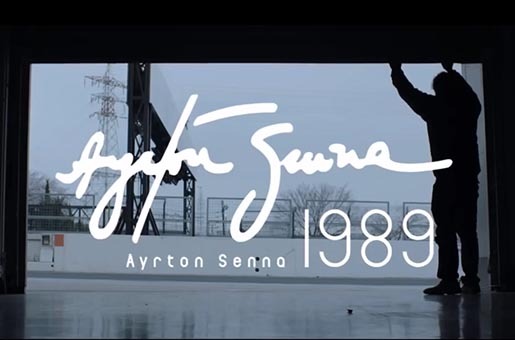 Honda’s “Ayrton Senna 1989” project, “Sound of Honda”, is the winner of the Online Video section of the Automobile Advertising of the Year awards, adding to the Grand Prix at the 17th Japan Media Arts Festival in 2013. Honda’s car navigation system “Internavi” designs drivers’ journeys using vehicle log data. Sound of Honda / Ayrton Senna 1989 used Formula One data from 24 years ago to bring an Ayrton SENNA race back to life in sound and light. The data from the then world’s fastest lap, achieved by SENNA in the qualifiers for the F1 Japanese Grand Prix in 1989, was digitally reconstructed and analyzed. By matching this up with recordings of MP4/5 cars, reproductions were created of the engine sounds at the time. 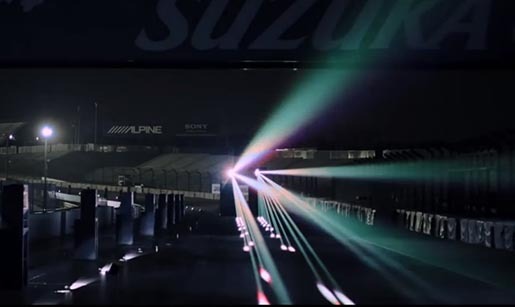 Installing speakers and LED lights along the 5,807-meter long Suzuka Circuit, the reproduced engine sounds were paired with motion data from the race. On a website, the 1:38:041 lap time was recreated in 3D computer graphics using WebGL (an API for displaying 3D graphics in a browser), enabling viewers to experience SENNA’s performance online. A smartphone app also allowed drivers to enjoy the sounds of SENNA’s lap in their cars. Here’s the original Sound of Honda videos hosted on the Honda Japan YouTube channel, with titles and documentary footage in Japanese. The Sound of Honda project was developed at Dentsu, Tokyo, by creative director/creative technologist Kaoru Sugano, creative planners/copywriters Sotaro Yasumochi and Nadya Kirillova, creative planner/art director Yu Orai, creative planner/creative technologist Kyoko Yonezawa, PR planner Misa Ueda, account directors Takao Kaburaki, Takuma Sato, Sungwon Kim, Takashi Hirano, working with Honda marketing team Ken Imamura, Akihiro Mikawa and Hiroaki Sawato. Filming was shot by director Kosai Sekine via Dentsu Creative X with producers Masafumi Fujioka and Ryoko Toyama, production managers Kenya Miyashiya and Hinako Hirata, director of photography Senzo Ueno, and producer Haruhiko Ishikawa at Shipoo. Sound was produced at Qosmo by director Taeji Sawai, sound designers Tomoyuki Kawamura and Mitsuru Tajika. The sound system was developed at Try Audio by Masaaki Azuma. LED systems were produced at Rhizomatiks by artist/programmer and system engineer Daito Manabe, producer Hidenori Chiba, programmer Satoru Higa, support team Tomoaki Yanagisawa, Muryo Honma and Hiroyuki Hori, with system support from Kunio Tamada at TamaTechLab and laser support from Tatsya Tamamoto at Heartfast. Web production was done at Metaphor.